for more photos and links. This interview is part of the Institute's "Conversations with History" series, and uses Internet technology to share with the public Berkeley's distinction as a global forum for ideas. 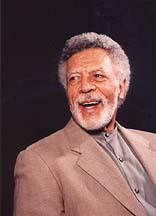 The archival photos in this interview are courtesy of Ronald Dellums. Welcome to a Conversation with History. I'm Harry Kreisler of the Institute of International Studies. 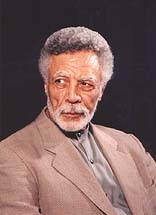 Our distinguished guest is the honorable Ronald V. Dellums. 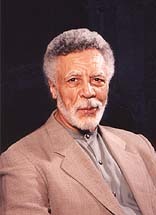 For more than twenty-seven years Ron Dellums was a congressman from California's Ninth Congressional District. In representing his district, Congressman Dellums not only brought to Washington the spirit and ideas of the sixties movements, but at the same time earned the admiration and respect of his Washington colleagues. Perceived upon his arrival as a gadfly, an outsider from "Berzerkeley," he left the Congress after serving as chairman of the powerful Armed Services Committee. Upon his departure he received the Defense Department's Medal of Distinguished Public Service, the Pentagon's highest civilian award, and the Lifetime Achievement Award from Peace Action, the nation's largest organization promoting disarmament. He is being honored at UC Berkeley by the establishment of a chair in Peace and Conflict Studies in his name. Political Career ... the responsibility of a progressive representative ... doing the homework ... winning respect ... opposing the MX missile and persuading the Mormon Church ... sharing a base of information ... the case of South Africa: fidelity and showing up ... new opportunities for a new era ... "take no sides, make no enemies"
Photos by Jane Sherr. Site questions: Email iis_webmgr at berkeley.edu.